This month we’ve spent some time catching up with sisters Leanne and Nadine, owners of Rose and Poetry Boutique. 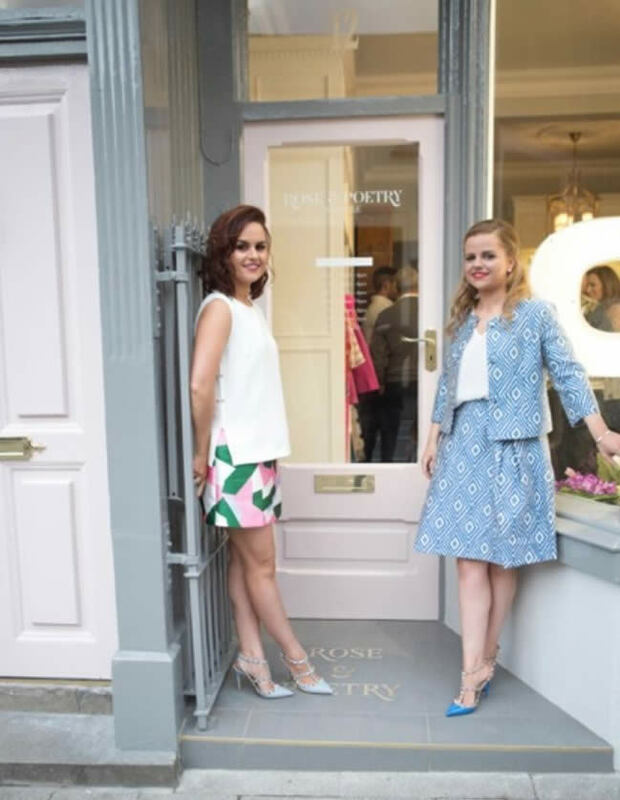 We’ve been inspired by these sisters who opened their stunning boutique in Lisburn, Northern Ireland in Spring 2016. Read on to hear about what drives their passion for running their own business and what they’ve learned on their journey so far. Darling: What was the inspiration behind your boutique Rose & Poetry? We have always had a love for fashion, which we owe to our mum and her friends. Whenever we shopped ourselves we always liked having something unique, that not everyone had and this is what we wanted to offer. There is a big boutique culture in Northern Ireland, so we wanted to tap into that. Darling: The shop is based in Lisburn, Northern Ireland, why did you choose to open in this location? Our initial thoughts were in fact not to open in Lisburn! We’ve grown up here, however the city suffered a lot from the economic downturn and it was still trying to recover, so we looked elsewhere. We then discovered an old Georgian shop had become vacant, when we viewed the property we fell in love. The period features were exactly what we wanted for our boutique! We realised that if Lisburn was ever going to recover from the recession, new business like ourselves needed to give it a chance and invest in it. Darling: You also run a very successful blog youprettylittlething- how do you manage to juggle both commitments? You Pretty Little Thing was born when we were on a family holiday in Italy in 2014. We liked the idea of showing people what we wore so we decided to give it a go. It started out as a hobby and has now grown into a tool we use to show our customers how we wear the clothes we buy for the store. The instagram page gives a voice to our business and we love doing it. Darling: What will you be wearing from Darling London this season? We are both obsessed with Tulle, so we will have to fight over who gets to wear the Phebe skirt with the matching Phebe knit jumper. Also, the Hepburn coat- we are in LOVE! Darling: As sisters you’ve grown up together. What do you think your sibling relationship brings to the business? The dynamic between us has definitely changed over the years as any sibling relationship does. It works well for us in regards to the boutique. We each have a different style of dressing, which helps us to buy a mix of brands and provide something to offer everyone. When we are in buying appointments, we bounce ideas off each other, consult and if one of us isn’t 100% happy we don’t buy the item. Of course we do have our arguments, what sisters don’t argue! But at the end of the day we work hard together and we wouldn’t have it any other way. Darling: As successful young businesswomen what advice would you give to other women who want to start their own business? When we started the process we were definitely thrown in at the deep end. We didn’t know where to start, but the best way to learn is to do. Making yourself stand out is important for any business, but especially in the fashion retail world. You need to have a clear vision of what you want to offer and how you want to offer it. We knew exactly where we wanted to be placed in the market, the customer service we wanted to offer and the overall experience. With any new business you will make mistakes, we haven’t even been open a year and we have made a few but take those mistakes and learn from them, that is the best way to grow your business. Darling: What is the biggest lesson you have learnt about the fashion industry? Relationships are key. Relationships with your suppliers, agents and of course the main one your customer. Our Suppliers and Agents really gave us a lot of great advice and helped us whenever we were first starting out. Engaging with your customer, specifically through social media is the way forward; it really gives us an added boost. Lastly, we learned very quickly that the fashion world isn’t as glamorous as it seems! Be prepared to put in long hours and a lot of hard work! Darling: Why did you decide to stock Darling London? When we were deciding to open the boutique I told Leanne I had one request, and that was that we had to stock Darling! I have been a fan for years, I love the styles, fabrics and the quality- it is all so gorgeous. We look forward to our buying appointments with Darling every season, we are never disappointed! 1. Favourite place for coffee? Bob & Bert’s, definitely one of the best Mochas in town. 2. Best place for brunch? Square Bistro, the food is amazing! 3. Top spot for cocktails and what’s your drink of choice? The Vintage Rooms, it’s just recently been re-decorated and we love it. 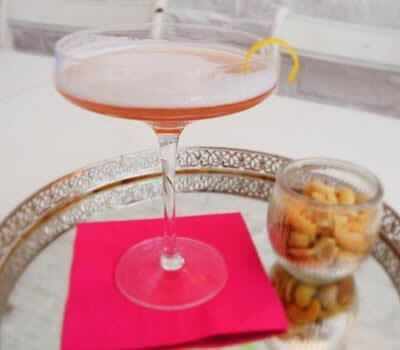 I would recommend their French Martini is delicious.